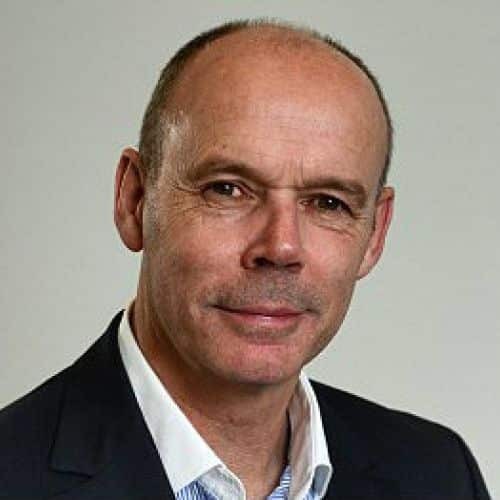 Sir Clive Woodward is the World Cup winning Head Coach who led England’s rugby players to World Cup glory in Australia in 2003. A former England International and British & Irish Lion himself, during Clive’s tenure as Head Coach, England moved from 6th in the World to being the number one ranked team, winning every trophy an England team can win. He also held the role of Team GB Director of Sport from 2006 to 2012 including London 2012. In 2013 Clive became a Founding Partner and Chairman of Captured, a software tool & synchronised app. based on his coaching philosophy. Developed in partnership with Blenheim Chalcot and Google, the app. draws upon the importance Clive places on capturing and sharing knowledge in order to achieve high performing individuals and teams. While the app enables any coach or athlete to adopt the method Clive initially developed with England Rugby, international sporting bodies such as The FA and The PGA are also utilising tool – the IOC recently made the software available to every athlete and coach at the 2014 Sochi Winter Olympics. Future aspirations for the software also lie in the education and corporate sectors. Clive continues to support the development of athletes and coaches through his position on the IOC’s Entourage Committee. He is also in the process of creating an online diploma in partnership with the IOC utilising the Captured software and MOOC [Massive Online Open Courses] technologies. As Clive continues to explore the art and science behind developing talent and creating Champions he has initiated a bespoke scholarship programme with support from investors in the corporate world. Specifically Clive is looking to illustrate that with the correct approach, focused around effectively capturing knowledge the route from being a talented individual to Champion can be shortened. Most notably Clive is working with Scottish golfer Noni Stephen who has reached a handicap of 1 having taken up the game only two years ago. Over the past 12 months Clive has developed his reputation as a popular and respected commentator for both BBC Sport and SKY Sport’s rugby coverage and as a journalist within The Daily Mail’s award winning sports team. More recently BBC Radio 5 Live launched the ‘Sir Clive Woodward Meets’ interview series where he discusses performance and leadership with sport’s most influential figures including Christian Horner, Jonny Wilkinson and Joey Barton. Clive’s achievements in elite sport have been driven by the importance he places on creating a world class environment, coupled by a compelling attention to the development of individuals within the team and a determined attitude to challenge the staus quo and traditional school of thought. The cornerstone of this philosophy comes from Clive’s own business career and in particular the experience of running his own sales and leasing company before becoming a full time coach. As such Clive enjoys engaging with corporate partners and his acute understanding of the synergy between business and sport has affirmed his reputation as an inspiring and thought provoking speaker. Based on the notion that “Great Teams Are Made of Great Individuals” Clive has identified four criteria which he believes characterise a champion individual or team in both business and sport. ‘The DNA of a Champion’ details each of these criteria, but also how they can be coached to achieve high performing teams. Focused on “creating an environment so good that everyone wants to be a part of and nobody ever wants to leave,” ‘One Team’ encapsulates the collaborative leadership model Clive successfully applied to the World Cup winning England rugby team and Team GB at London 2012. Clive’s reputation as an innovative leader is driven by his determined approach to challenge the traditional school of thought and find new, different ways of operating. In ‘Change Thinking’ he highlights where his inspiration for change originated and illustrates how effective change creates an inspiring and engaging culture off the field as well as impacting performance on the field. A successful coach and leader is one who can effectively capture and share their knowledge. Clive believes it is important to formalise this process and is currently working with the IOC to this end. The goal of this process is to highlight the Winning Moves – those practices crucial to success.